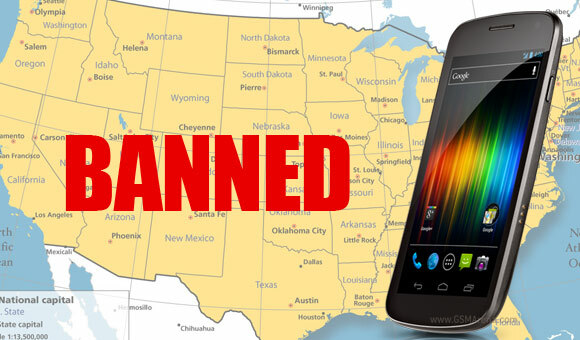 Apple has just been granted a temporary injunction against Galaxy Nexus sales in the United States. US Court ruled against Samsung in the patent case, which was initiated in February, but gets its first ruling just now. Judge Lucy Koh decided that Samsung has infringed four patents, although one specific patent weighs in towards this decision - patent number 8,086,604 ('604). It basically refers to a device being able to search multiple sources through a single interface (Apple's Siri). The rest of the patents Apple accuses Samsung (and Google) of infringing are patent 5,946,647 (actionable linking), patent 8,046,721 (slide-to-unlock) and patent 8,074,172 (touch screen word suggestion). For the injunction to go into effect, Apple must post a bond worth $96 million. It's highly likely the final judgement of the US Court to be of the same kind, provided Samsung isn't able to prove it hasn't infringed on the patents in question. how is apple suing like cry babies cause they cant compete mean that samsung started this?